Live where the only thing above you is the clouds! Coming home is a pleasure when living at Terrace Court. We feature spacious two bedroom, two bath apartment homes which include a full size washer and dryer, ia pantry, full-kitchen appliance package, and complimentary cable TV. Each apartment home is large, approximately 1100 sq. ft., single story with a private entrance showcasing a private gated patio with garden window. Our residents can relax at our sparkling cabana pool and spa. 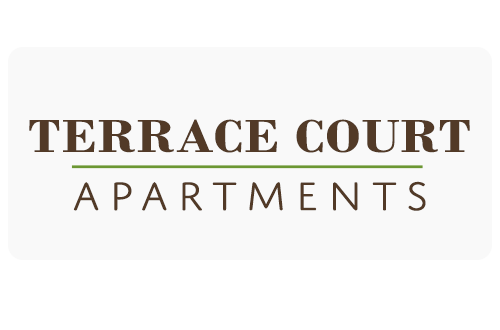 Terrace Court maintains a peaceful atmosphere while still being only minutes from the freeway and within walking distance to shopping, dining, medical facilities, and amazing parks. In addition, we are conveniently located to the Northwest Las Vegas Airport, Las Vegas Golf Club, and the Palm Valley Golf Course. Give us a call today. Don't forget to ask about our current specials and details of our pet policy. With a friendly staff, quality amenities, and a great location, Terrace Court Apartments is a great place to live in Las Vegas.